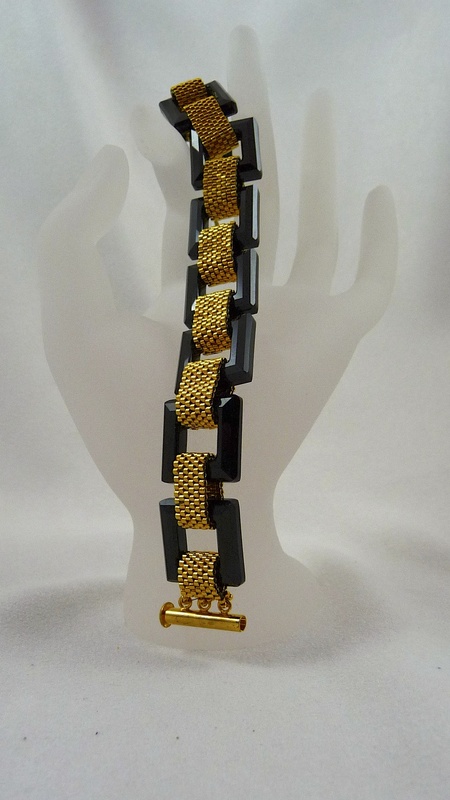 This dramatic bracelet features Onyx Swarovski Crystals Frames. They are linked together with 24 kt. cylinder beads and a gold plated slider clasp.